Respawn Entertainment dropped their battle royale Apex Legends early last month and many have praised it for being innovative and unique in the very saturated battle royale genre. Recently they’ve released their season 1 content and the very first battle pass so how exactly does it stack up against its competition and is it worth the price? Let’s start with a breakdown of the rewards available for anyone who purchases the premium battle pass, and is able to earn their way to tier 100. 70% of the entire premium battle pass is made up of nine intro quips for various characters, four character skins, 20 rare camos for weapons, 1 epic camo for the Prowler and a legendary Havoc skin that’s unlockable at the very last level. Additionally, players will be rewarded Apex Coins and Apex Packs throughout as well. The other 30% however, 30 whole tiers of the battle pass, are dedicated to offering up character banners and extra experience bonuses. With that information alone, it sounds pretty good right? If you look at the battle pass content in terms of the volume of new additions to the game and tiers available to unlock, as well as from a financial standpoint, yes, the battle pass is 100% worth the $10 price tag. That said, when looking at the battle pass in comparison to the original content on display from Respawn with Apex Legends, as well as to those offered by other battle royale titles on the market, it’s easy to see how some might be more than a little disappointed. Of the 20 rare weapon camos, each of them are available to only one singular weapon, instead of all pistols, sniper rifles etc. As such, unless you play with each and every weapon available in the game, some of these rewards are bound to collect some digital dust. Additionally, there’s only a few different camos that are rewarded for the different weapons, instead of a new skin for each of them, which is pretty disappointing. It would have been a lot more exciting had Respawn offered up a new skin for each of the weapons, instead of recycling the same few over and over. All nine intro quips for the various characters suffer from the same problem as well, as all are very similar. Of course it’s not all bad, as the character skins are pretty sweet, the Havoc skin is awesome, and the ability to earn enough Apex Coins to pick up the season 2 battle pass is definitely a plus if you can make it to the tier 97. But is that enough to hold player interest when it comes to actually earning the premium battle pass content? 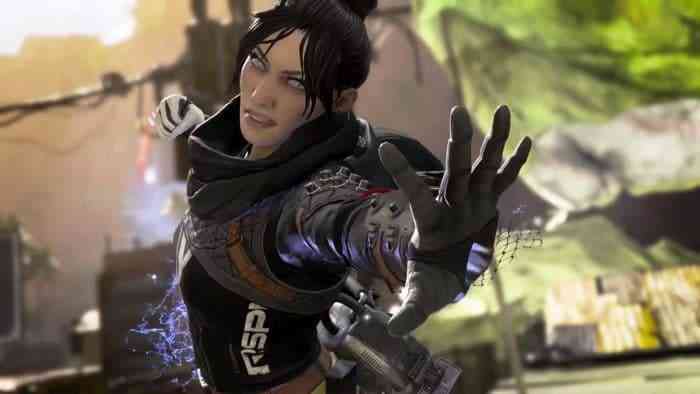 Unless you’re an avid player who was going to play Apex Legends regardless, these few enticing rewards aren’t enough motivation to grind all the way to the very end. Further, the casual players might have a difficult time with the progression system attached to leveling up through the tiers and earning all of the available loot. When you take a look at how other battle royale games have their battle passes set up, like Fortnite with the ability to earn more battle stars for the completion of challenges in order to level up faster, or Blackout or Realm Royale for their very content heavy progression systems, it seems a bit foolish that Respawn wouldn’t have taken some pointers and improved upon them, much like they did with their entire base game. What they brought to the table from the very beginning took a stand against the big dogs in the genre and showcased that Apex Legends was a worthy competitor however it’s clear this isn’t something they were trying to reproduce with their first battle pass content. Despite Respawn trying to temper expectations before even releasing The Wild Frontier content, stating that this first season is really an opportunity to learn the game and become masters with each of the characters, it’s hard not to feel a little let down here. It would’ve been nice to have some creative challenges to complete over the course of the battle pass, or even just to feel like the developers were really strengthening the entire experience here. Instead, however, this seems to have left a bit of a sour taste in people’s mouths. Bottom line, this season 1 battle pass is worth it for the price alone, even taking the disappointing variety on display into consideration here. Is it a bit of a letdown? Of course. But the only way it’s absolutely not worth the $10 is if you’re a very casual player who won’t get anywhere near completing the battle pass. If that’s the case, you may just want to steer clear this time around. Hopefully, Respawn will learn from their mistakes here and will showcase a larger variety of loot for the second battle pass that won’t make the entire experience feel like much more than a slow and steady grind.